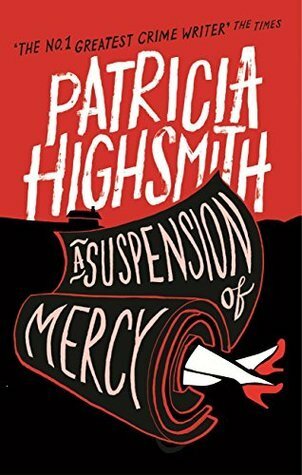 I hadn’t read Patricia Highsmith for years, but when she was added to the Virago list I realised that there was more to her backlist than I had realised, and that it really was time I did a little more reading. This book was the one that caught my eye in the library catalogue – I liked the cover and I liked the title – and now that I’ve read it I have to say that it isn’t her best work but it was a lovely reminder of how good, how dark and how intriguing she can be. He married an English girl after a very short acquaintance, because he didn’t want her to go home without him, and so he went home with her. They settled in a remote cottage in Suffolk, with the idea in mind that the quiet countryside would be the perfect place for them to develop their artistic talents and their respective careers. Neither the marriage nor the new home could be considered a success. Alicia spends her time painting without any concern about where money is going to come from or any need to think about selling her work. She is the much loved only child of wealthy parents, they made a substantial contribution towards the purchase of the cottage, and she has a small private income at her disposal. She was unimpressed by Sydney’s failure to find a publisher for his new novel, and she didn’t believe that the screenplays he wrote with a collaborator, Alex who had a steady income from a London publishing job, would be any more successful. The whole situation was unhappy. Her waspishness and his uneven temper, isolation broken only when friends from London visited, a lack of anything much to do at other times, had left their marriage close to breaking point. Sydney and Alicia were both rather pleased when Mrs Lilybanks, an elderly widow with a heart condition, moved into the only nearby house that had stood empty for quite some time. The new neighbours got on very well, but it wasn’t long before Mrs Lilybanks realised that the Bartlebys weren’t at all happy with each other. Alicia coped by taking short holidays without her husband, and it wasn’t long until the day came when she didn’t come back. Sydney wasn’t too worried because it gave him more time to work on his novel and he was working on ideas for a new televison crime drama that both he and Alex thought was a sure fire success. His ideas for new episodes of his crime series began to get mixed up with his fantasies of killing his wife, and the line between fact and fiction began to blur. Sydney recorded some of his murderous ideas in his journal, and he even bought a new rug so that he could use the old one to test his plan for secretly burying the body! It was understandable that when Sidney couldn’t say where his wife had gone and when she didn’t receive the letter that Alicia had promised she felt that something must be terribly wrong and she should raise the alarm. Sidney didn’t notice, because his crime series had been commissioned and he was completely caught up in scenarios that were becoming more and more elaborate and fantastical. The set-up of this story was so good. The writing was clear and lucid, the plot was cleverly constructed, and I wasn’t quite sure what was real and what was fantasy, or just where the story might be going. When Patricia Highsmith revealed a little more of Alicia’s story the book lost something. I wasn’t convinced that she would have acted as she did, unless there was an awful lot of backstory that hadn’t been told; and I wasn’t convinced that, faced with a murder charge, Sydney would have acted as he did, however caught up in his writing he was. The interesting characters I had met began to seem more like plot devices. The different responses of Mrs Lilybanks and Alex rang true, and so did the way that the net began to close around Sidney. The plot moved inexorably on, I had to keep turning the pages, until I reached a startling ending that made me think again about what had gone before. There was three-quarters of a really good book here; not Patricia Highsmith at her best, but more than enough to remind we of how very good she can be and make me want to read more of her work. Sounds very exciting Jane – obviously even lesser Highsmith is worth reading! Definitely! This wobbled for a while but there was more than enough to make me glad I read it. This still sounds good, Highsmith has been a discovery for me this year. I have read three excellent novels and have a fourth waiting. She is so good at exploring the psychology of her characters and creating atmosphere. Yes, she is. Even though I didn’t think this was her strongest work it was still compelling and interesting to think about. Lovely review, Jane. As you say, maybe not Highsmith at her best but still interesting in its own way. What I like about her stories is the way she draws on the reader’s natural emotions, often encouraging them to side with rather flawed or dangerous characters. She certainly does. Though I don’t she didn’t do that as well here as she has in other books I still found much to enjoy. Have you read THE CRIME WRITER by Jill Dawson?A fact/ fiction book about Highsmith.She was a complex and unusual woman.Would like to see more films about her on tv. It’s on my library list and I hope to have room on my ticket to for it soon. 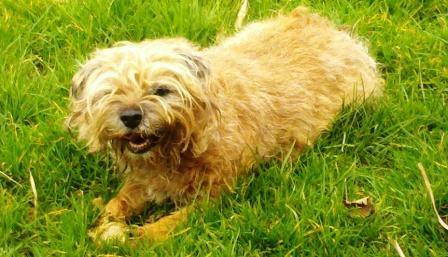 I’m interesting in finding out more about her, and I’ve liked Jill Dawson’s books in the past. Dawson’s novel FRED AND EDIE based on the Bywater murder case was good.Same real life case inspired A PIN TO SEE THE PEEPSHOW a Virago Classic. My recollection is that it was a good book, but not as good as ‘Peepshow’ – one of the first VMCs I read and still one of my favourites.